Thanks for visiting this page! We are so excited about this new recording of our music! tenor banjo on Gander is a 1929 Vega built in Boston MA. Paul Bezanson (mixing and mastering) and Suzannah Doyle (album cover design) and Joe Casprowiak who got the project started! 1. Alpenglow-Sharon Thormahlen: Just after the sun has set, if you're lucky, you can see a red glow on the mountain top. This is the Alpenglow. 2. Habanera Gris-Alfredo Rolando Ortiz: Habanera is a music genre from Cuba. 3. Sweepin’ the Clouds Away- Sharon Thormahlen: It's always nice when the sun comes out after a cloudy day. It's like someone just swept the the clouds away! 5. Merengue Rojo-Alfredo Rolando Ortiz: Merengue is a music genre from the Dominican Republic. 6. Gossamer Gate-Sharon Thormahlen: As we walked along the Shady Cove trail, we could feel the tiny silky, tickley "Gossamer Gates" of cob webs breaking across our ankles as we passed by. 8. Sunstream-Sharon Thormahlen: As the sun sets across the lake, the reflection of the sun in the water looks like a golden stream flowing through the lake. 9. Autumn Moon-Frank Voltz: A haunting melody for that time of year. 10. The Night Sky-Sharon Thormahlen: The night sky in the mountains is amazingly lit up with stars. They give out morethan enough light to keep the night from being pitch black. 11. Flamenco Lingo-Mason Williams: A cool tune from the composer of Classical Gas. 12.Moon Over the Mountain-Sharon Thormahlen: The view of the crescent moon waning over Mount Jefferson as the sun set was stunning. From our tent window we could watch it move over the mountain as the night progressed. 13. Sweeten Creek-Sharon Thormahlen: There are so many unnamed creeks in the mountains that we decided to name one of them Sweeten Creek after a place in North Carolina that we dearly love for its beauty, friendship and fabulous BBQ! 14. Birds of Blueridge-Sharon Thormahlen and Anna Jenkins: Inspired by a wonderful week spent at Chimney Rock in North Carolina where Anna and I experienced a beautiful fall with the phenomenal colors of the Blue Ridge Mountains and the birds singing like we've never heardthem before. 15. Carrickfergus-Traditional Irish. Named after a town in Northern Ireland, this song dates back to the early 1700's. All original tunes are copyright protected and permission granted for all others. #11 will be in my next book so stay tuned for that! Thank you Frank, Alfredo, Mason and Turlough for writing such great tunes for us to play! 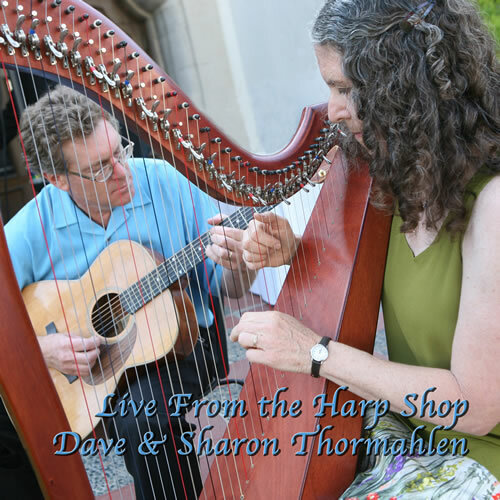 Many of us are accustomed to seeing Dave and Sharon Thormahlen in the vendor halls at the various harp festivals sellingtheir beautiful harps. This CD gives us the opportunity to step into their harp shop and enjoy listening to the music this couple makes on the instruments that Dave builds. The wonderful blending of the instruments and musical lines is a lovely testament to these two talented people being exceedingly comfortable making music together. 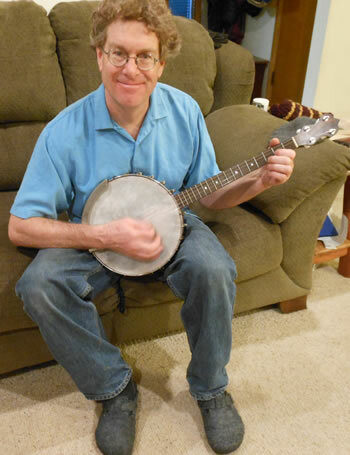 The CD features harp, guitar, mandolin--all built by Dave--as well as a vintage banjo. I was smitten by the sound of the 1929 Vega and how incredibly it blended with the gorgeously full tone of Sharon's harp on "Gander in the Pratie Hole." The sultry arrangement of Sharon's "Sweepin' the Clouds Away" is an excellent example of a harp and guitar duo; the chord inversions on the guitar enhance the chords played on the harp. The Thormahlens give fun and delightful treatments to the several Alfredo Rolando Ortiz selections. Their version of "Autumn Moon" by Frank Voltz is deliciously seductive. The collection of music is easy on the ears, but has a variety of tempos and feels that make it interesting, intriguing and fun. The instruments blend beautifully; perhaps that has something to do with most of them having been built by Dave. The consistency of the blending of instruments shows not only the musicians' talent in creating and playing these arrangements, but also the excellent ear of the sound engineer. 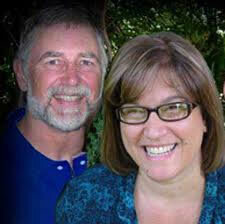 Throughout the CD the instruments take turns gracefully trading places providing melody, harmony, rhythm, and groove. If this is the music that's played in the Thormahen's harp shop, I want to go and hang out there! "I just wanted you guys to know that I listened to your CD this morning. I really enjoyed it. I haven't picked out favorites yet,but Sunstream is one of them." "I listened to your CD coming back from the Fair; it's wonderful! 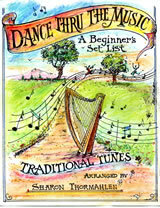 Great songs, beautifully arranged and played." "I bought your CD at your booth at the Somerset Harp Festival. I listened to it on my walk this morning. I really like it, so I decided to write and tell you that. Thanks." "I got the CD and have played it through...It's a great CD and the music and arrangements are delightful. Also compliments to DAVE...he is a master at making the instruments ...You two are perfect together. 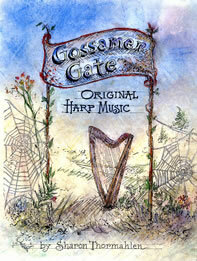 The clarity of the harp is really good listening!" "I just love that CD I got from you several months ago. It is sublime. I have it in my car and play it often. My mom got the other copy from me and kept it because she liked it so much. She played it for a woman in the hospital who was in recovery from surgery. Music heals!" Hewlett - one of my all time favorites! What a great CD! I have listened to it several times in the few days since Somerset, and I keep coming back to it. I love the original compositions, the gorgeous blend of the instruments, and the "cool" chords. Great performances! Thank you so much for your CD! I love it -- it is lovely and so relaxing and at the same time so interesting! It reminds me of what the man behind me said during your concert at the Ohio Harp Gathering -- "you make it look so effortless." Turns out my 14 month old great grandson loves the CD, too! During dinner I put your CD on and as soon as it started, he looked at the CD player and then looked at me with a huge smile. Then he did something that really surprised me. You see, I have been trying to teach him how to do a glissando so he won't just grab at the strings -- and break them! He definitely enjoys it when I play a glissando and he enjoys it when I use his index finger to play one. But I was absolutely amazed when anytime you did a glissando on the CD, he sat up straight with another huge smile and would point his little index finger at the CD player. He recognized it! It was so cool and I was thrilled -- maybe he will be a harp player some day, too!